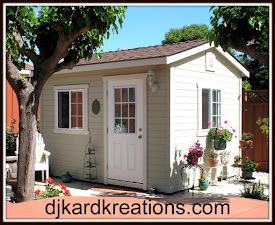 djkardkreations: NBUS Challenge #2! Here We Go! NBUS Challenge #2! Here We Go! Hello, my lovely lovely friends! I am into and over my next milestone in follower numbers, so here we go with the second NBUS challenge!! For those of you who have joined recently, NBUS stands for "never-before-used schtuff." The challenge is to use your virginal NBUS on a new creation, simple as that. Well, I mean there are other rules (below), but the theme is as simple as that. To see the first challenge, click here. I made up the aachronym NBUS because I was purchasing product at a faster rate than I was using it. (I see you nodding your head in sisterhood and brotherhood.) Often I was just plain forgetting I owned the schtuff. Also, I'm old, so there's that. I started challenging myself to turn my NBUS into US and that has helped me use it up at a faster rate. And you dearies have picked up the NBUS moniker, joined the brigattitude, and encouraged me to start a challenge. It was so much fun last time and the 281 entries were so amazing, I hope you will play this time, too! With the holidays, I won't be holding another challenge until the new year. 09/11/14 UPDATE: It's been a week and I see there are over 100 entries in the challenge, so five prizes doesn't seem like enough, does it? Let's up your odds a bit, shall we! Inspiration Emporium or Simon Says Stamp!! Since the first challenge, Simon Says Stamp (SSS) now offers online gift certificates. Inspiration Emporium is an American company, but they have a flat rate $10 overseas shipping rate which is exceptional. I hope these choices will be pleasing to everyone. The side option this time is the following multiple choice. Just to be clear, this option is just for fun and will not be considered when I throw you in the random thingie for prizes. Make two cards using the same stamp. I made my sediment banner with the Flying Nun wings because I thought it was different and also it looked a bit like the roof of a house. If you don't know what "Flying Nun wings" are, God bless you for your youth. The sediment was made using the PTI die from "Wonderful Words Christmas" and I can't remember if I've used it before. (Goshwillikers, I wonder if the new computer will come with an extra memory chip?) The red sparkle paper is SU and the gold is cut from an ancient piece of handmade paper in my stash. Isn't it cool? I would never have remembered I had this paper if I hadn't organized all my papers recently. Both die cut sediments were outlined with white, but you have to look hard at a close-up to see that bit. I used WOW cable car red and PSE gold embossing powders on the background. I'm sorry the embossed red houses didn't photograph as shiny and glossy as the gold ones did, but really, you would expect gold to show better considering the price. My NBUS items are two Hero Arts stamps. That background was made using S5532 "Home and House Background," and the the inside (below) was made using K5534 "Winter Village." I only Versamarked and embossed part of the Winter Village stamp so I could add the sticker greeting. So then the next thing that happened was Hammy woke up from his afternoon nap and said sardonically, "How are you going to mail those, Cap'n Think About It?" And now my cards look like this, ready for signing and mailing! I am entering the gold card immediately above in the Jingle Belles challenge "Baby, It's Gold Outside" and the gold one with "wings" into the Simon Says Stamp Wednesday Challenge. The red one immediately above is for the "Anything Goes" Christmas Card Challenges. OKAY, GO FOR IT! I can't wait to see what you bring me! The challenge will end at noon on Thursday, September 25, 2014 and the winners will be announced at noon on Sunday, September 28, 2014. Wow your cards are amazing as always Darnell, will play for sure :) I won't say I am loaded with NBUS, but yes I do have schtuff which I forgot that I have! Oh those cards are stunning Darnell! Loving the festive sparkle! Congratulations  How do you keep up...and manage to write such wonderful and witty comments when you visit. CONGRATS on reaching your next mile stone. Whoo hoo! another NBUS challenge, fantastic!!! Already searching through the 'box of things bought and haven't seen the light of day since' I'm sure there'll be something in there that fits the bill. Love those super stamps, and what you have created with it. It's a pity about the flying Nun part. I am going to join in with this one as I was ill last time and couldn't. So as Arnie in the film says I'll be back. ooooooooo sorry I pressed twice thinking nothing was happening. Congrats on reaching that unbelieveble number of 600 (and more)! Great bold cards; they look so festive! Just love the red sparkly one - and the gold one too! Both are darling, darling! I'm psyched D... I didn't know about the first one since I'm kinda new to the game. Can't wait to play!! Hmmmm... do I have NBUS? Congratulations on 606! That's fabulous! And you are celebrating with a new NBUS challenge - woohoo! I hope to play along! No lack of NBUS in this craft room! I wonder if I will ever run out of NBUS? Very festive cards, Darnell. Love how they sparkle and shine. :) Congrats on the uptick in followers! That's fantastic! Have a happy day! These are so gorgeous Darnell. Very classy and perfect for Christmas. I'm so happy you are doing another challenge. Congrats on all the new followers. Oh, what a wonderful post to see this morning! I have been a pondering when this event might take place and this is the month...yeah! I will be playing along latr in the week. I have been organizing every day for at least 15 minutes and I have come across some really old NBUS stamps from SU, circa 2004. Yes, 10 years old and not even mounted to the wood. I snipped and mounted last night, mentioning to my Mister that these were the age that they are and he had a peculiar look on his face. I am not sure if he was thinking "love, you have so much sctuff that you don't know what is in that room" or if he was as amazed as me that the glue backed rubber would still stick to the wood! Anyway...not sure what will appear on my creation for the NBUS, but it will be fun to select for your challenge! Have a wonderful day and thank you for the lovely comment that you left on my blog. Lovely cards Darnell. I too have a huge pile NBUS. Because I am fairly new to the card making I am catching up in buying supplies that others already have for a long time. However this also means that a lot of this new stuff is in the waiting cue to be used and that it takes much longer than I thought to start using them. Si I will have to make a choise wich NBUS I will use first for your challenge. You know, I love to see examples of cards using the same image and/or layouts, it's impressive what a difference a change of color can do to a look! As demonstrated in this post! I'll definitely going to join your NBUS challenge this time! Yippee, glad to see the return of your NBUS challenge, I still have your perfectly colour coordinated badge displayed in my side bar! Your cards are stunning. I love the image and the colours look amazing. Thank goodness your little trim doesn't ruin your brilliant design. Yay!! Another NBUS challenge!! I' m so happy since I have created the NBUS mountain range, I need something to help wear those sharp mountain peaks down a bit! haha!! I'm going for #3 too! Sounds fun! LOVE your two cards! All of that fabulous embossing looks marvelous!! Can't wait to get started!!! Yay!! Fabulous cards Darnell....awesome job embossing the images! I'm hoping to find time to play along with you for challenge #2. ...and...A HUGE, HUGE WHOOOOO HOOOOOO for reaching 600 crafters who love stopping by your lovely playhouse for a visit! Yeay! NBUS here we go...maybe! Gorgeous cards there. I must be youngish! Well done Hammy too for his quick thinking! I will have a look to see if I have anyfink I forgotted I had! Cough! Hi Darnell, cute cards -- I hope to join your NBUS challenge this time around. Hi, Darnell - How fun! Another NBUS challenge - congratulations on your awesome number of followers! I love your gorgeous cards - I actually like them better without the wings! The gold one is spectacular but the red one is equally as beautiful! Well done! Fantabulous cards Darnell! Even though they are the same the colour makes them seem so different, brilliant idea. You know I will be joining you for this challenge, probably many times. Congratulations on the big '600' and I hope your ready for the millions of entries!!! Your inspiration, as ever, is amazing, I love both beautiful cards, especially the red and white one. Just beautiful. I loved the show "The Flying Nun." Sally Field ROCKS!! (I watched Gidget too!!) LOVE, LOVE, LOVE, your cards. I love the fun background paper you created and your sentiments-FABULOUS. Really awesome challenge!! Congratulations on your 600 mark! I predict you'll be over 700 by the first of the year! Love these cards! Too bad you had to take the flying nun hats off! But airmail is pretty expensive! Isn't it fun to use new schtuff?!! Just look at you growing!! I/m thrilled for all of your wonderful followers!! The cards are both great - with or without the flying nun wings! Thanks for the 2nd big NBUS challenge! I can't wait to play! OMGEE! I can't believe you've already had a couple of entries lol! Gorgeous cards Darnell - all four of them are real beauties but I do love the red and white, always had a weakness for that combination! Will be back UK time tomorrow as I'm supposed to be asleep right now! Will check the rules too as I don't want to be told off lol! Wellll! I just saw your name over at Pat's and that you were sneaking in another NBUS! (Now I need to add the tag back on the sidebar!!!). That Hammy...I need him here to spot my mistakes - that critter has got a good eye. Loved both of your Christmas cards, and 'specially the way you charged 'em up with the different colors. 2 down in your CC stash. I'll try to find time to play and congrats on yet another (unsurprisingly) milestone feather in your following cap. TFS & Big Hugs. Mwah! Love those gorgeous cards!!! Yay! 600!!! You go girl!! Can't wait to join in the fun! Wow...a big congrats to you my sweet friend! And your cards are just over the top fabulous and so perfect for Christmas! Can't wait to play along. Congratulations Darnell!!!! wow that is a huge number! Way to go! Love both cards with the same stamp how fun! Loving the red and white! Hugs and big congrats! Congratulations on another milestone, Darnell. These cards are so sparkly and beautiful. Had to laugh at the Flying Nun reference. Sally's only a few years younger than I am so I remember her and the show well. I love both your shiny cards - I am partial to the red one but just because to me that is a traditional Christmas color!! They turned out fabulous - love the words, both turned out so great!! I LOVE that stamp set - cute houses, car with christmas tree on it, snowflakes!! Simply looks so good!! I am going to do your challenge this time cuz I have NBUS - plenty of it!! 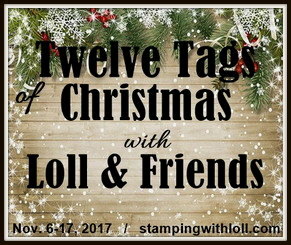 Mostly Stampin' Up stamps I have ordered and never used! Silly me, but I forget which ones I have!! Have a fantastic day and thanks for doing the challenge!! Your two cards are just fantastic. So glad to see you are doing another NBUS challenge. I have been shopping, and this challenge is just what I need. Congrats on the 600, Darnell and thanks for having another NBUS challenge!!!! Will be digging into my stuff to find all the NBUS to use!! Love your two fun holiday cards!! Congratulations on another milestone my friend! I don't know why it always takes me by surprise that the same card in two different colours can have such a different feel to them. The red card looks sparkly and sassy but the gold one has such an elegant look! Thank you for another challenge - I'll be back for it! Darnell, you are too funny girl. I love the flying nun panels but the mailing trick is a big hurdle - I love how you sailed over it. Both are fun card with lots of sparkle and interest. Super post as always! Hugz! Gorgeous cards Darndll, fabulous designs and stamping. I love the red with die-cut sparkling sentiment - stunning!!! Can't wait to play along and these card are so full of fun and sparkle...just like you!! Wow all that sparkle. Did you notice in the post of the christmas card in red second version, you have really really captured the sparkle in the word. Love them. Cant wait to see what gets entered. Good, I got in while the comment count is low. If you call 61 low. Darnell, you are a genius for coming up with this challenge! I just got a shipment of much needed supplies (lies) and am waiting to try some out. Thank you for NBUS! Let's see... if I'm following the rules correctly I make a card or two using options A, B or C or D but not a combination of A and C when doing D and not on a full moon and its okay to use new stuff but not for option C and.... yeah... No, srsly, I get it. I don't have time for it but I get it. I like how all your cards sparkle! 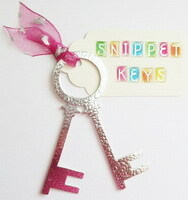 Either by glitter or embossing or their own coolness! I am baffled, actually Barb/Babs/Barbara, how in gawdsgreenearth do you find the time to read yet alone answer the letter from your fans? Poor Hammy sure has to work hard. I hope when the new computer comes he gets a new Hampster Wheel. By the way the cards are elegant and lovely and so are you. Yay, a NBUS#2 challenge... I never got around to entering the first challenge (but not for lack of owning any NBUS, I'm afraid), so I'm glad to have another chance. Gold or Red, these ROCK! Wings and all. Sadly, I remember flying nun wings. Ah me. Think I'm gonna enter this challenge. Congrats on your follower success. Your cards are absolutely gorgeous, Darnell! I love all the embossing, the pretty papers and the beautiful holiday colors...just WOW! And, another NBUS Challenge? I'm so excited, and can't wait to get started! Darnell you really are the most popular in Blogland! I love your embossed cards all so fabulous. I played along with you for fun, NO prizes for me. ~MWAH!! Love your cards. Going to be enjoying the NBUS challenges. I've only been paper crafting for a year and a half, but even I have a stash of stuff that will keep me in challenges for months! Thank goodness for another NBUS challenge! I have been buying new products like crazy over the past few months and they are sitting in the corner of my craft room looking at me ominously....You are a star - no wonder you have 600 followers :) Love your gold and red cards - perfect amount of festive bling and I love those backgrounds. You are such a kind lady! I love your glittery cards and so thoughtful of hammy to help out ... Have a lovely weekend!! Hello Miss Darnell you sweet woman, over 600 followers, that just show how SPECIAL you are... I finally gor my internet fixed, well kinda, so now I can visit, I have miss my daily dose of you. 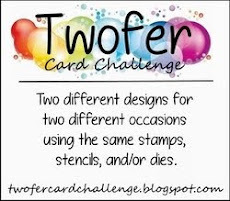 Your challenge blog is all about fun and we all need that,both those cards are gorgeous and with Hammies input they are spectacular, I have missed you, thanks for my morning chuckles and all the inspiration and making my day, ((( HUGE HUGS ))) sweet thing..
Love your 2 Christmas cards Darnell, what a shame you had to take the banner off! Another challenge - need to go through those drawers! Thanks Darnell for enticing us to use our NBUS schtuff again! Beuatiful cards you created! Yea! another NBUS Challenge! I love your two Holiday cards! Off to figure out what to make! Flying nun wings ... so very clever and such a cool effect ... so glad you went for the gold with us at jingle belles this week. said I would be back to enter your challenge for the first time. I did comment before about you lovely cards so I won't do so again. Good luck to everyone that enter this challenge. Love your cards and your challenges. Wonderful Christmas cards...funny how you changed them for mailing. Thanks for another great challenge. Congrats on reaching another milestone! And thank you so much for continually inspiring me to use my NBUS! Congrats ! Over 600 !!!!!! Amazing cards, Darnell!!! Love the gold!!! Thanks for the lovely NBUS challenge, once again. So much talent and creativity and such a fun way to meet other bloggers!!! just popped back to leave another entry into this fab challenge. How are you going to mail that?? Sounds like something one of my kids would say to me or hubby. Huh! Definitely going to play in this one as soon as I get this stinkin migraine under control long enough to sit at the computer for more than 5min this time. Great challenge again Darnell! oh boy do I have NBUS! lol I did good for this one! Your cards are fabulous! Hellooooo my sweet friend! No wonder your blog grows, it's such fun! I came to join in but am dipping out of your generous draw as I won last time! I bought a set of Spellbinders Labels One fancy dies AND a Spellbinders Edwardian door die with my winnings so am a very happy bunnykins here :) MWAH! Congrats on the not-so-surprising 600+ followers. Happy to report, I have even more NBUS *gasp* than I did for the first challenge and can't wait to get to it. I had great fun using my NBUS, thanks for the challenge Darnell! Yay Darnell, my first NBUS to celebrate your new milestone: 600 followers! Hip, hip, who... Ray? P.S. - I thought I had already commented your cards, but it looks like I didn't... my apologies. Love both cards. I have a big crush for houses and a huge one for Christmas, so... Love the details inside, really pretty. I really want to thank you for the encouragement to use some things I had never used. It really gives you a good feeling to open up a package that has been sitting around, and create! Hia. Not sure if sewing counts, but I am only playing for fun anyhoo! So glad I stumbled across your blog, so much inspiration in the other entries and the kick up the bum I needed to start using stuff I have BEFORE I buy more!! WooHoo! Congrats on the new milestone! Love the 2 looks with the same stamps, fab! Darnell, it's no surprise you've gained so many new followers! Your cards are fabulous...and I like them Ready for mailing, too! Thanks for hosting another NBUS Challenge...it is ingenious! Fabulous cards, Darnell! Love both colors! And yes, I do recognize the term "Flying Nun" :) This is such a great challenge...thanks so much!!! Your challenge is a big hit, Darnell! WOW! I think you're even ahead of SSS! Enjoy the love! Thanks for such a great challenge idea! So glad to see I am not the only one with stamps and such that are still waiting, unopened in a drawer! Thanks for stopping by and leaving such a wonderful comment! You made my day! Thanks for following me! Always happy to make a new fiend! I found your blog yesterday and became a follower! Love your sense of humor, especially since I am old enough to know what Flying Nun wings are! Your cards are SO striking! Both cards are awesome, Darnell!!! And I think I need to join in on the fun! ;) And Congrats, on 600!!! So happy to find your place here. First...your Christmas cards are adorable. Love em. Second...thanks for a chance to play along. It's a pleasure. Wow! So many entries, Darnell! I'm in for the 3rd time. (I'm beginning to be embarrassed about my NBUS stash and have taken to hiding it. Does that make me an addict or even worse, a closet hoarder?) I can't seem to create as fast as I can shop! LOL, the Internet makes it way too easy! Your cards are absolutely stunning, so glad a friend told me about your challenge! wonderful work on getting to 6-0-0... wow, how amazingly large a number is that??? Darnell, I know I said you and Ardyth were the Cher's of the card-making world, but I think I'm going to give that to Ardyth, and think of you as the Maya Angelou of the card-making world. Everyone loved her, and she had an amazing way with words. It's perfect! Wow, I think I'm the 152nd person to comment here, and there's not even a give-away for the commenters. That may be some kind of record (or as your reading this you may be thinking, no, Kelly, it's not a record, last week I had 200 comments!) hahaha!! ANYWAY, love your twin cards and I totally laughed at your account of figuring out how to mail them. Way to keep it real, Darnell! BTW, did you notice the amazing red sparkle you captured on the first photo, on top of the red "d"? It looks like one of those fake star bursts you put on a diamond to make it look all sparkly. So cool! Thanks for hosting, Darnell, and bringing everyone together again! Darnell, these two festive-us (are you a Seinfeld fan?) cards are dee-lightful! Both versions! Thank you so much for hosting another mega-blitz challenge, and for leaving some love at my place recently. You always make me smile! I made it!!!! Thank God for time zones!!! Hello, what a great idea for a challenge and I will be joining in ....for sure!